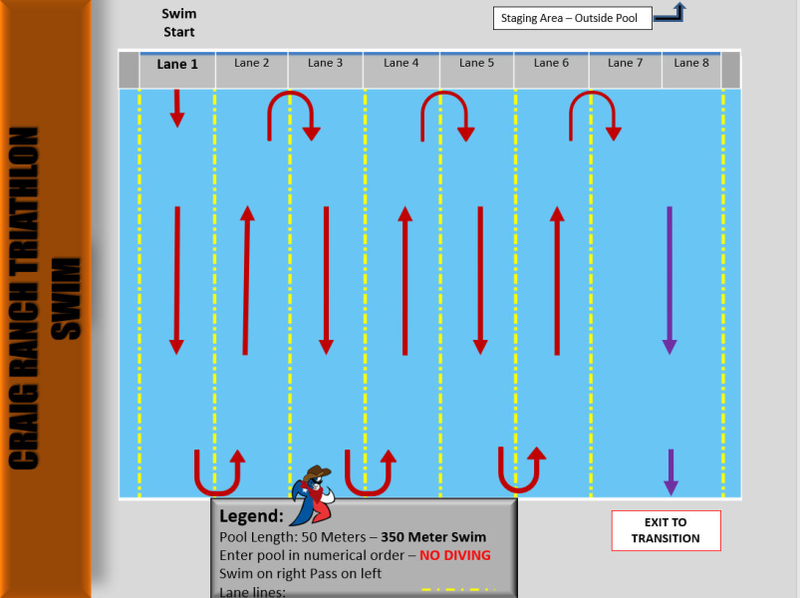 350 meter serpentine swim in 50 meter lane length outdoor pool (time trial start every 10 seconds). 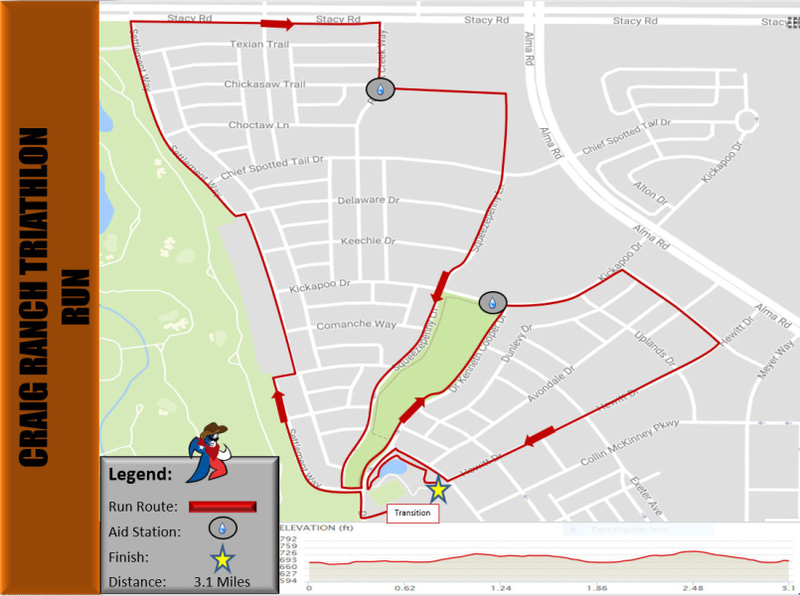 12 mile two-loop bike course. The race is a USA Triathlon sanctioned event. All participants must be a current annual member of USAT or purchase a one-day permit for $15 or an annual membership for $50 through online registration or at packet pickup---no exceptions. NOTE: No Race Day registration. 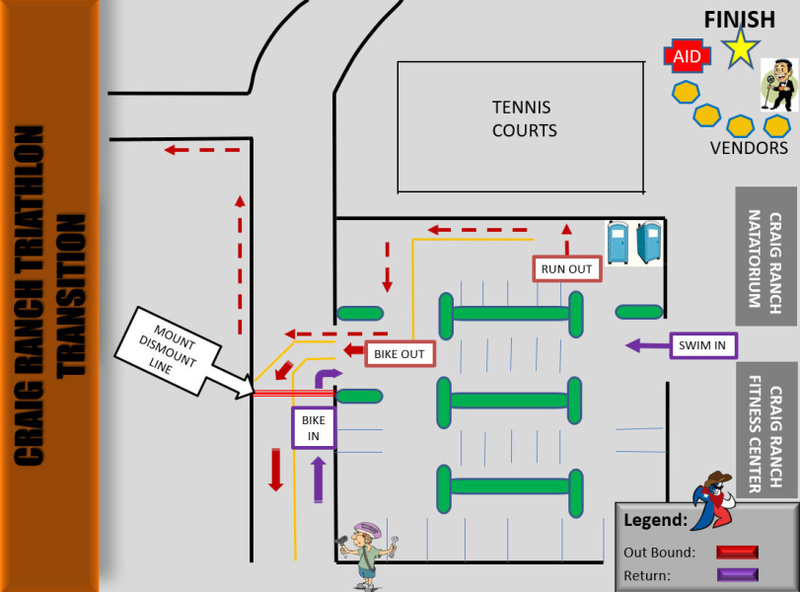 Transition area opens 90 minutes before the race and closes 15 minutes before race start for pre-race meeting. Bike racks will be assigned by number. Swim order is based on estimated 350 meter swim time. No refunds or transfers to other events. This is a rain or shine event. There will be a free breakfast for all participants poolside after the race. Nuun and water: Transition and at mile 1 and 2 on the run. Packet pick up schedule and locations will be announced the week of the event. 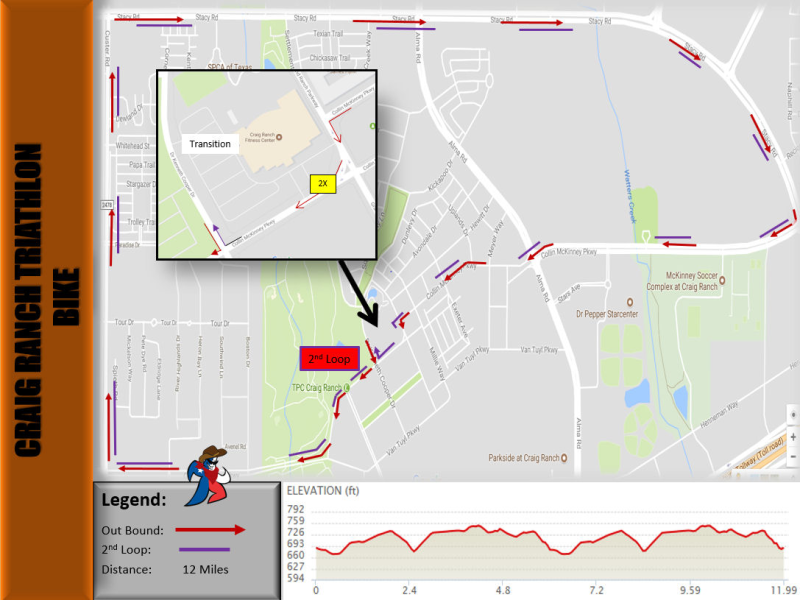 Residents of Fort Worth are permitted to pick up race morning. All others must pick up at a packet pick up location. You must pick up your own packet unless the participant is a minor. Have your valid photo ID ready when you arrive to packet pick up. You can register for the event from home or via cell then proceed to packet pick up with a photo ID. When you register online, if you do not currently have a valid USAT license, you will be prompted during registration to purchase a one day license or a one year option. There is no race morning registration. Shirt exchanges will take place after the race based on availability. All registered participants will receive commemorative swag. All finishers will receive a custom finisher's medal. The awards will be three deep per age group along with Athena and Clydesdale (39 and under, 40+) with individual awards for overall male, overall female, overall masters female & male and overall grand masters female and male. 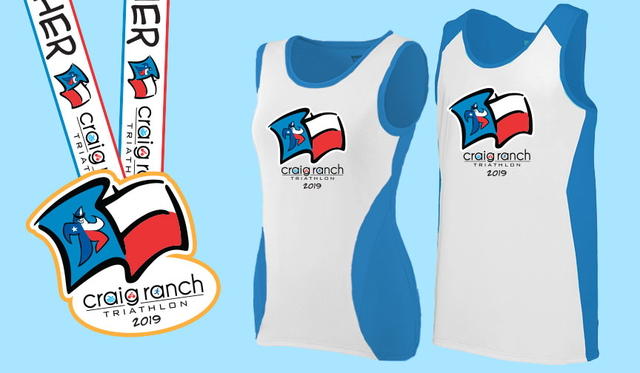 Overall Finisher Awards and Age Group Awards are based on gun time for running events and chip time for triathlon events. If you are not present to pick up your award, you may contact the race director to arrange to pick up your award by emailing info@dallasathletesracing.com. We will not mail awards.